European Issue » Ambassador Fabian’s blog, KP Fabian, Analyst - international political developments, global issues, Indian national issues. 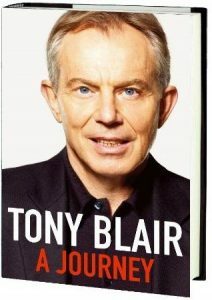 Given that 92,000 copies were sold in the first four days, Tony Blair has felled a large number of trees to argue a case that is seriously flawed. By sheer coincidence, as soon as the reviewer finished the book, the new Labour Party leader Ed Miliband came out with a categorical statement that the Iraq war was “wrong, wrong, wrong”. I had always thought that Tony Blair was really Tory Blair. I felt vindicated after reading the book written in the style of Christian apologetics to defend a position, not primarily to narrate what happened, how and why.